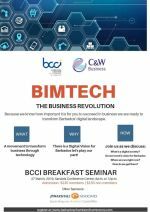 The Barbados Chamber of Commerce and Industry (BCCI) invites the Business Community to its Breakfast Business Seminar. Full Theme: BIMTECH - The Business Revolution. The Barbados Government has announced its intention to transform our island into a digital society but what exactly does that mean for business? 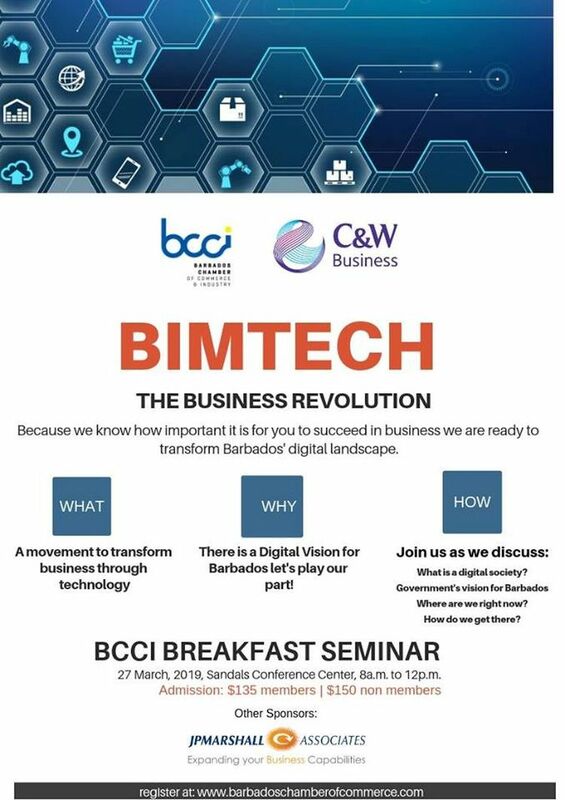 Join the BCCI and learn about Barbados’ Vision for a Digital Society and how our way of doing business will be transformed. Please contact the BCCI directly to make your reservation at bcci@barbadoschamber.com or call 434-4750.